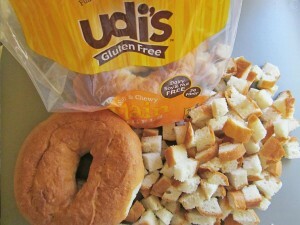 Simply spread small cubes of bread on a baking sheet and bake at 350 for about minutes. Pairs perfectly with Thousand Island Dressing! Heat oven to 350°F. Dice bread into cubes. 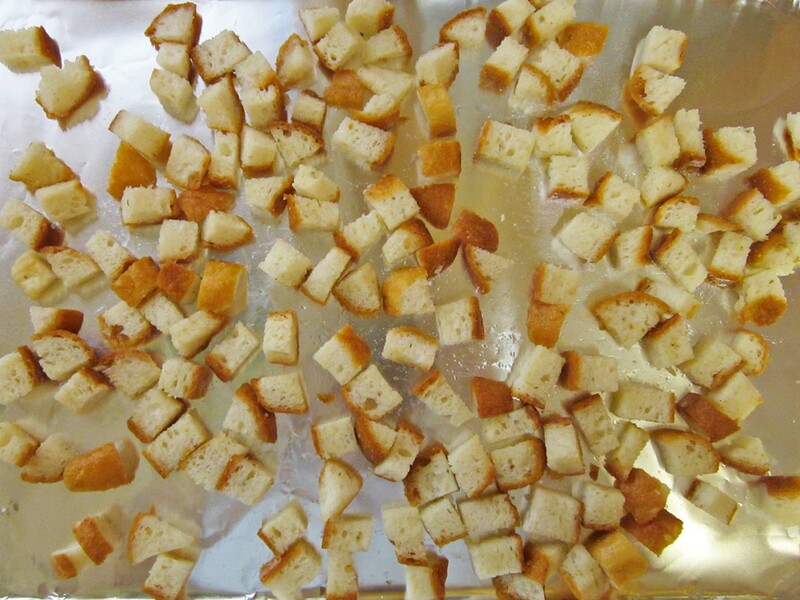 Put the bread cubes in a large mixing bowl, drizzle with melted butter or oil, sprinkle on the garlic salt (and herbs and parmesan if using), and toss to distribute evenly. Spread the cubes in a single layer on a baking sheet lined with tinfoil and bake until golden for 12-18 minutes, turning once or twice with a spatula. 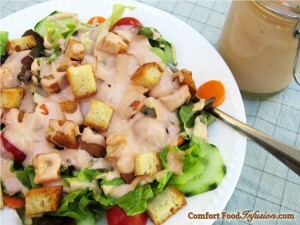 Allow to cool before sprinkling on salad. Store in an airtight container at room temperature. (Croutons made with oil will stay fresh longer than those made with butter).